Aikahi pillbox, one with a very beautiful mural overlooking Kane'ohe Bay. 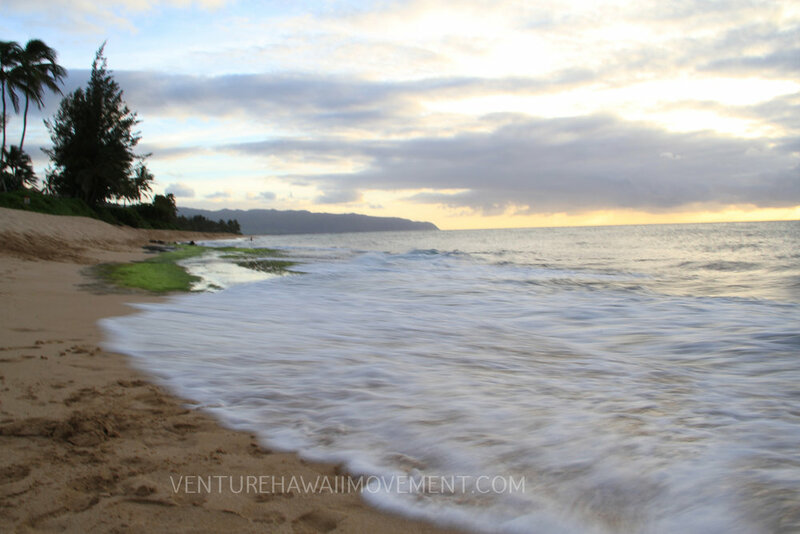 On the North Shore of Oahu the Anahulu river connects to the ocean creating brackish water. 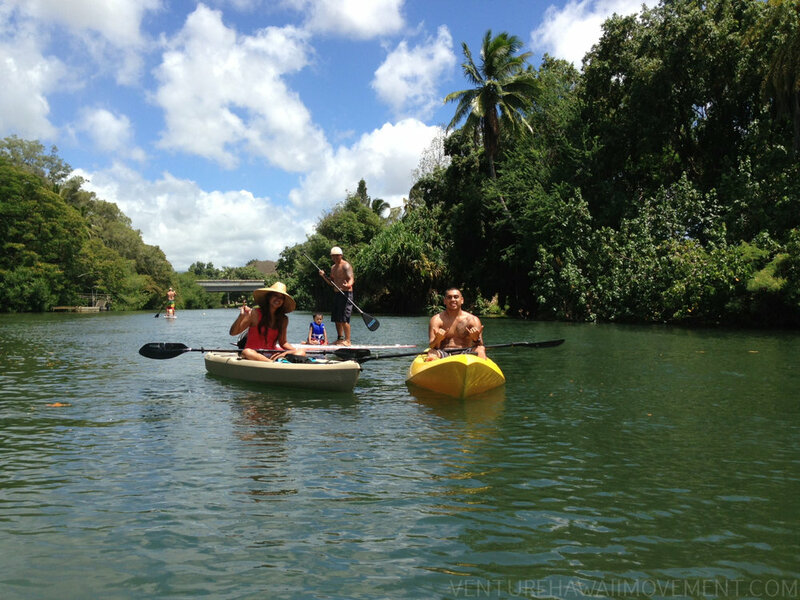 Many kayakers and Stand Up Paddle boarders cruise up the river starting under the Haleiwa Rainbow Bridge. Beal Patrick's Pond in Makaha on Oahu, Hawai'i. 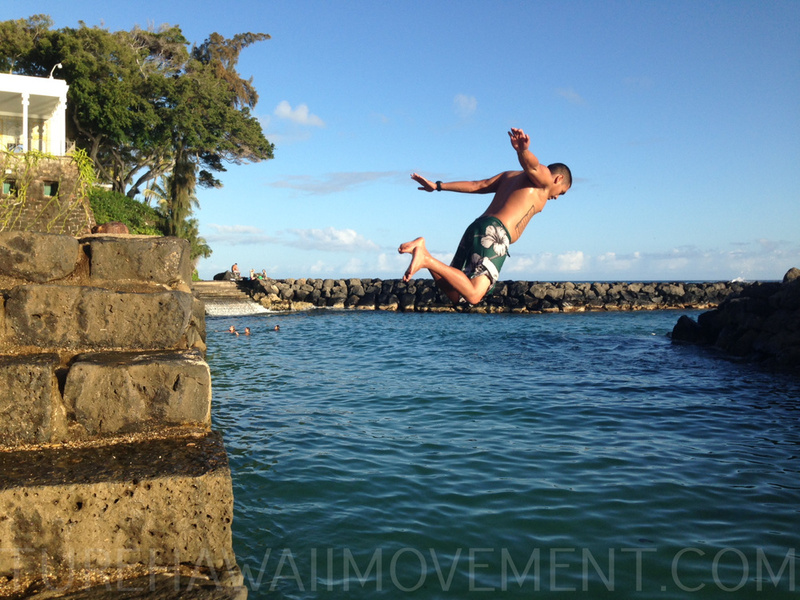 Cromwell's beach, a local getaway spot for jumping and swimming. Doris Duke, an American heiress, horticulturalist, art collector, and philanthropist owned this property up until she died. She left her house to her butler Bernard Lafferty who turned her house into a museum that holds guided tours now for a small fee. Ehukai Pillboxes hike in the North Shore of Oahu, Hawai'i. Haiku Stairs (Stairway To Heaven) hike on Oahu, Hawai'i. It was a gloomy Sunday so why not venture to Hamama Falls. 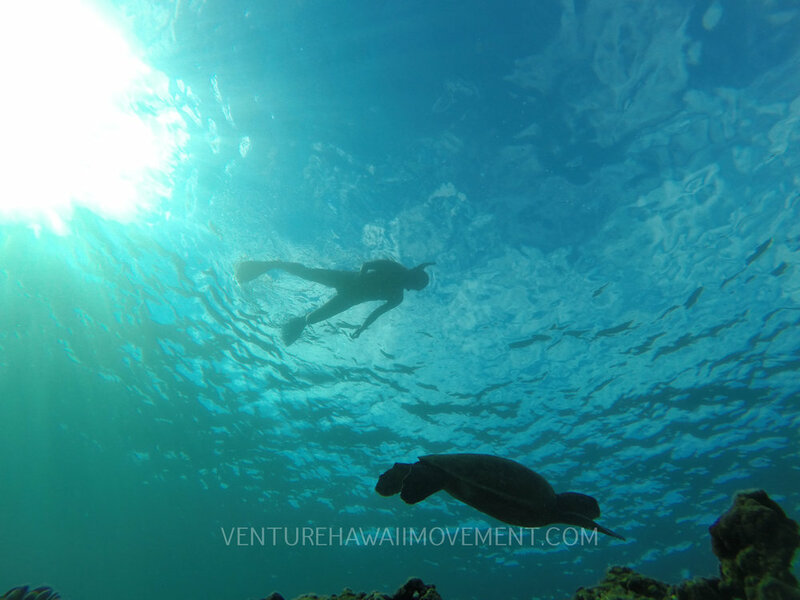 Snorkeling and free diving in Hanauma Bay Nature Preserve on Oahu, Hawai'i. Hanauma Bay Rock Bridge hike on Oahu, Hawai'i. Hidden Ocean Cave called Tunnels on Oahu, Hawai'i. 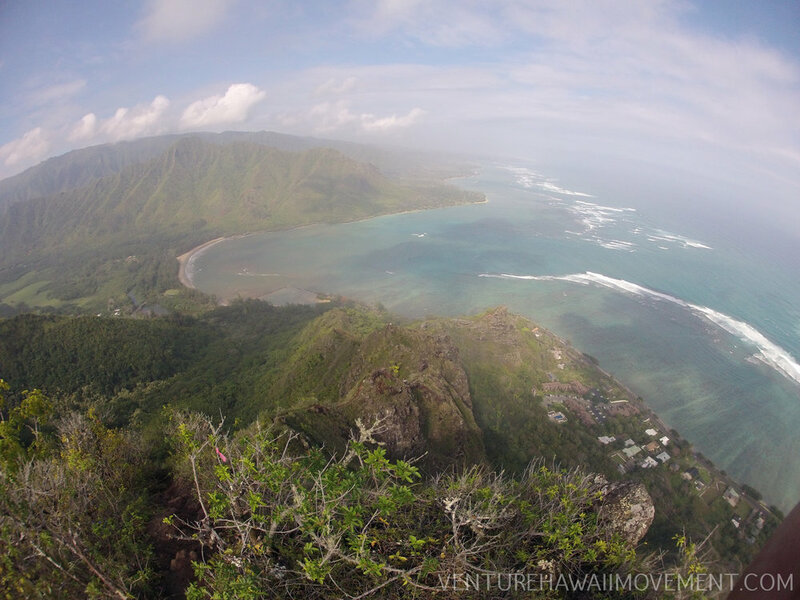 Venturing the Kaiwi Coast on Oahu, Hawai'i. It was a rainy-sunny day so why not hit a waterfall?! Kamehame Hidden Stairs on Oahu, Hawai'i. Kaniakapupu: The Summer Home Of King Kamehameha III on Oahu, Hawai'i. Kapa'ele'ele Trail in Kahana of Oahu, Hawai'i. Kayak & Stand Up Paddle Board Anahulu River under the Rainbow Bridge in the North Shore of Oahu, Hawai'i. Hike Kamananui Valley Road in Moanalua to Kulana'hane Trail on Oahu, Hawai'i. Last hike of the year we decide to hike up Kuli'ou'ou Ridge Trail. It was a great easy hike with a beautiful view. Lahilahi Point, also known as Black Rock in Makaha on Oahu, Hawai'i. Hike to Luakaha Waterfall on Oahu, Hawai'i. Hike to Lulumahu Waterfall on Oahu, Hawai'i. The Makaha Flag pole holds the Hawaiian flags in the wind high above Makaha Beach Park. 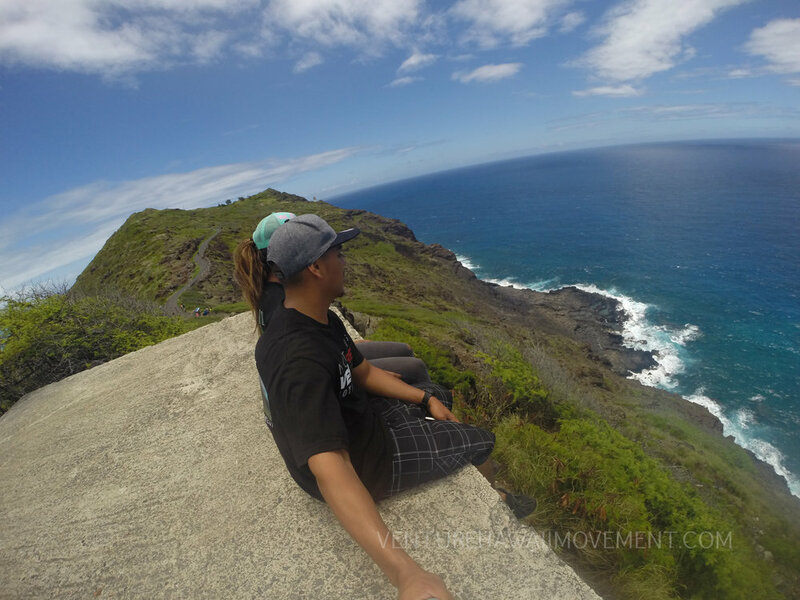 Pillboxes up Makapu'u with Mana the pit! 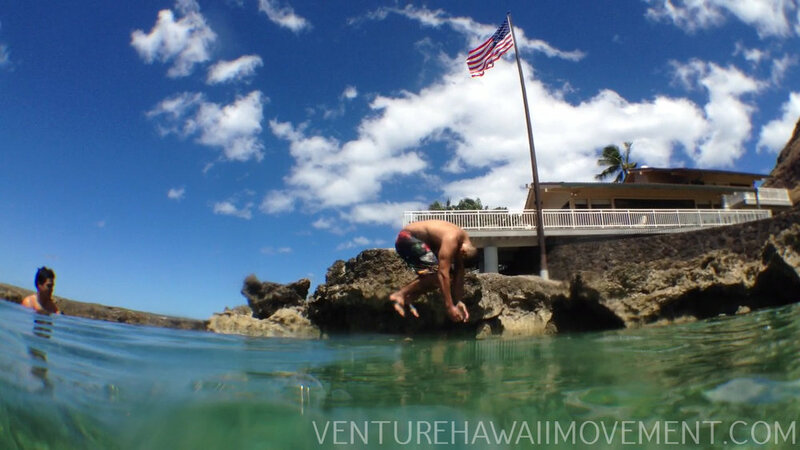 While swimming at Makapu'u Tidepool we spotted an old WWII bunker, also known as a pillbox. Makapu'u Tide Pools hike from the Makapu'u Light House Trail on Oahu, Hawai'i. Mariner's Ridge hike on Oahu, Hawai'i. Kayak and hike to Mokoli'i Island. Commonly known as Chinaman's hat on Oahu, Hawai'i. Spooky day on Mount Olomana. Nu'uanu Reservoir was build between 1890-1910. Four reservoirs were built, one with a water tower (picture above) to control water levels. After World War II freshwater game fish was introduced to Hawai'i. The first opening of catching game catfish was July 5-6, 1969. Oahu, Hawai'i. Off-Roadin Ka'ena Point on the North Shore of Oahu, Hawai'i. Pali Puka hike on Oahu, Hawai'i. Pali lookout to Pali Notches hike on Oahu, Hawai'i. Pele is the Hawaiian goddess of fire, lightning, wind and volcanoes. It is said that this chair-shaped rock is the last place Pele sat before leaving Oahu. Hike to Pele's Chair on Oahu, Hawai'i. Poamoho Trail hike and off-roading on Oahu, Hawai'i. Kolekole Pass to Pu'u Hapapa hike on Oahu, Hawai'i. Pu'u Kahekili hike on Oahu, Hawai'i. Pu'u Manamana hike on Oahu, Hawai'i. Pu’u Ma’Eli’Eli means “digging hills” in Hawaiian. 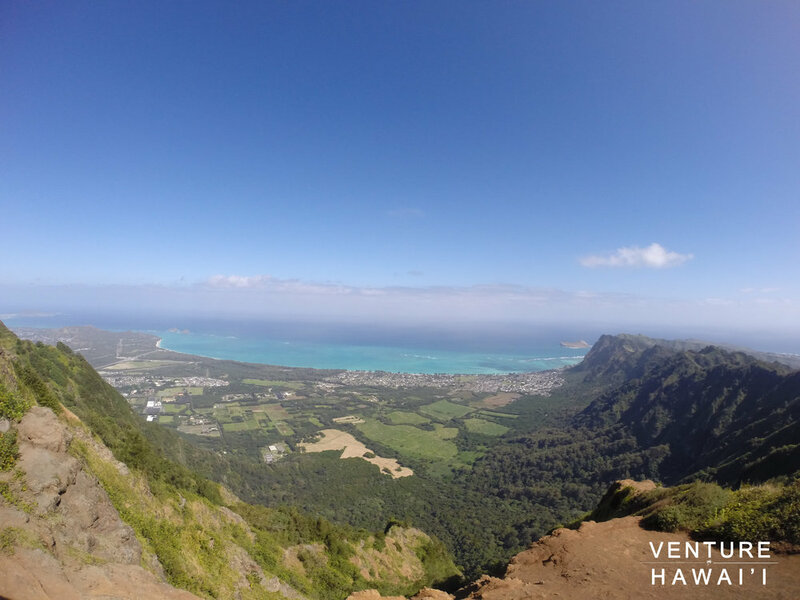 The legend states that the two gods Kane and Kaneloa raced up the hill and had to dig their hands into the hill in order to reach the top. Amazingly, this site also was a WWII combat training area used for 4500 soldiers. Hike on Oahu, Hawai'i. 42 family & friends joined Red Label Clothing and us as we launched our collab "NOTHING VENTURED, NOTHING GAINED" T Shirt. We decided to hike to venture Pu'u Ma'eli'eli as a group to represent the means of the shirt. Pu'u Piei Makai hike on Oahu, Hawai'i in Kahana. Pu'u O Mahuka Heiau in the North Shore of Oahu, Hawai'i. 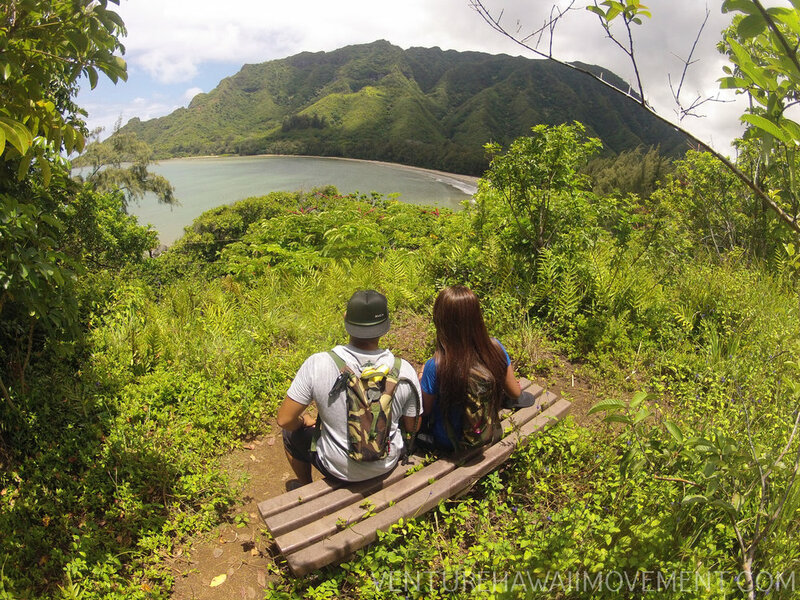 Our first time up Upper Makua Cave hike on Oahu, Hawai'i. Our Easter Sunday hike up Upper Makua Cave. This Salt Water Infinity Pool is private property with access for residents only. However, we are not residents in this gated community, but was welcomed in by one of our friends. Note: If you go here you risk being arrested. 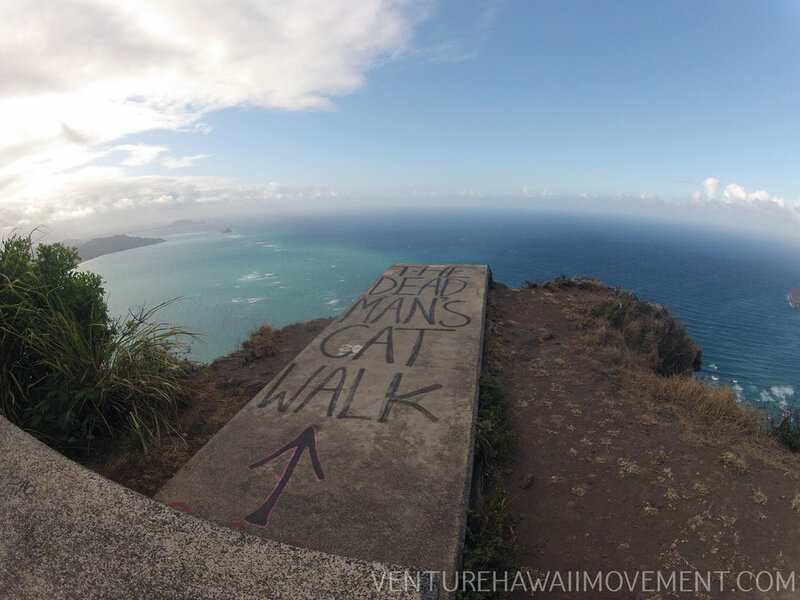 The Dead Man's Cat Walk on Oahu, Hawai'i. 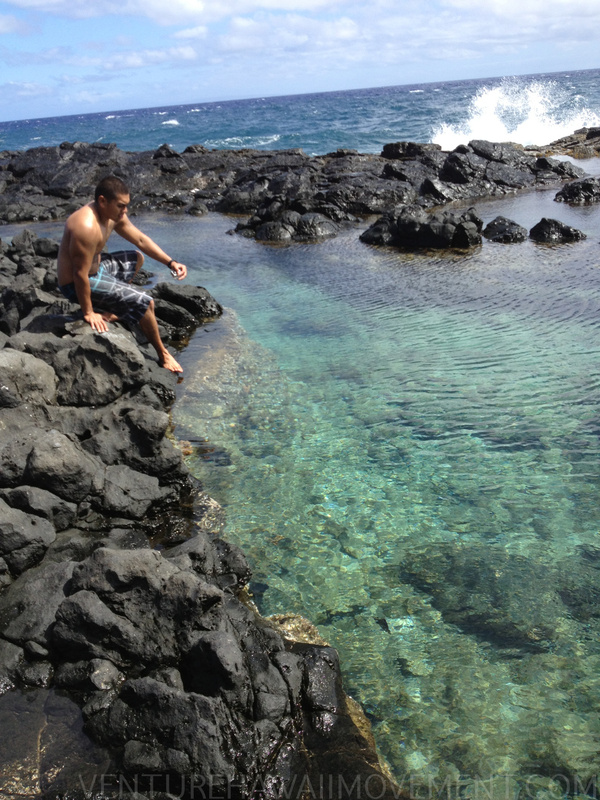 Three Tables beach park is located on the North Shore of Hawai'i directly next to Sharks Cove. Like Sharks Cove it is a fish sanctuary and marine conservation district. 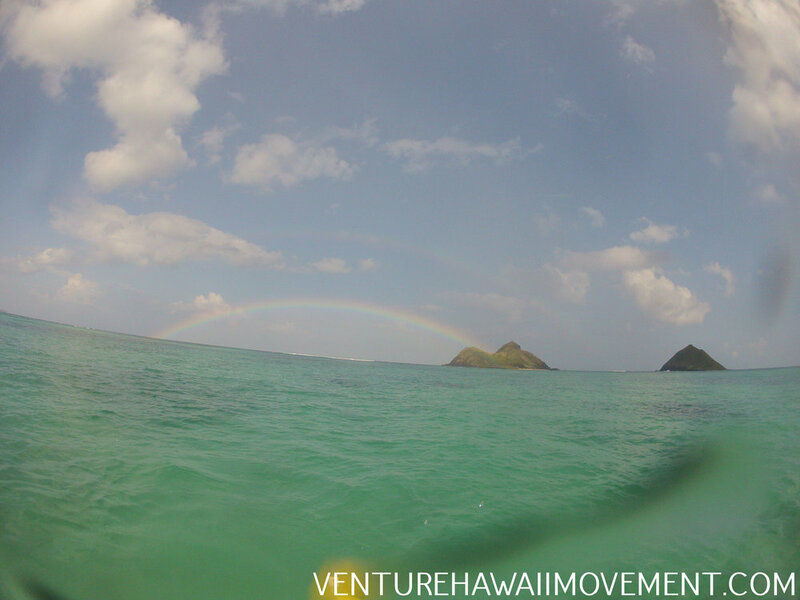 It's a great place to take a swim with a mask and snorkel to see many tropical fish in our Hawaiian waters. 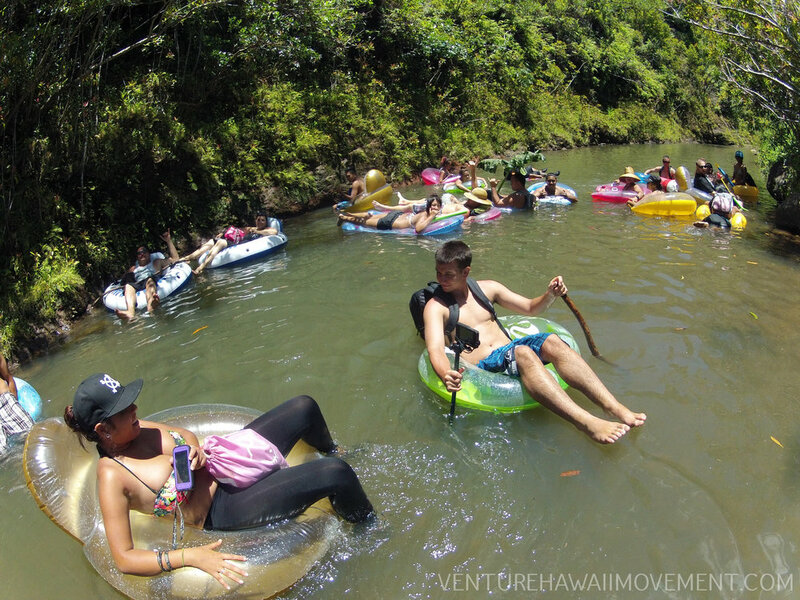 Tubing down Kaukonahua Stream in Wahiawa on Oahu, Hawai'i. 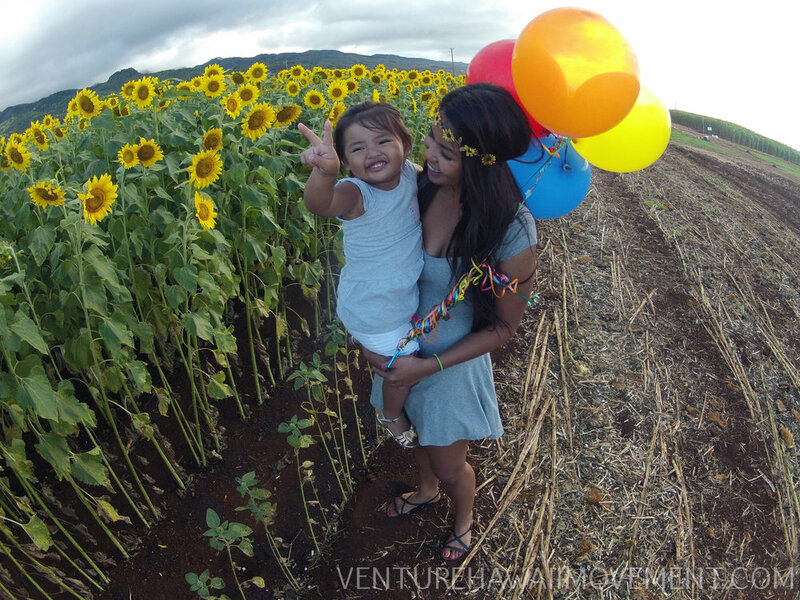 Waialua Sunflower Field on Oahu, Hawai'i. Manana Trail to Waimano Waterfall on Oahu, Hawai'i. Very popular beach on the North Shore of Oahu, Waimea Bay. Famously known for it's 20ft plus waves during the winter time, its awesome fun 3ft shore break and the giant rock on the left side of the bay you can jump off of during the summer. For our 2 year anniversary we decided to go on a hike of course! 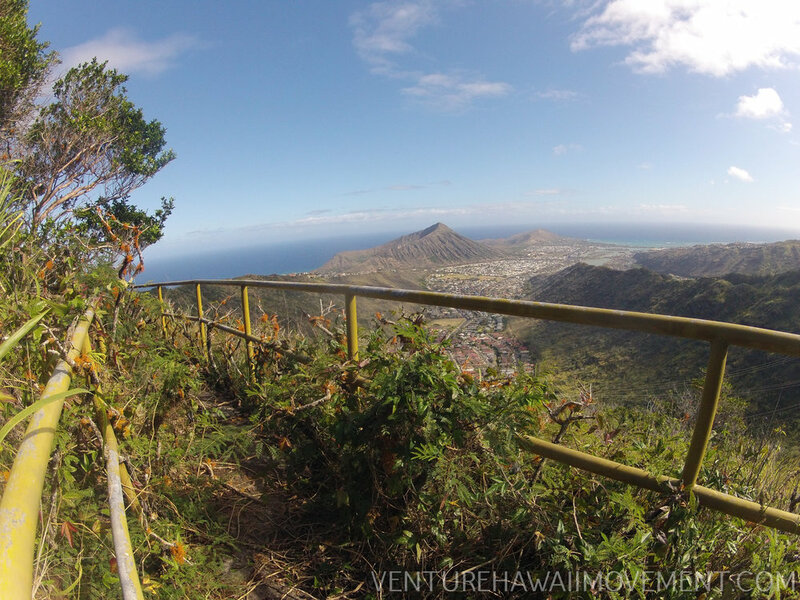 We decided to hike Wiliwilinui Trail on the South side of Oahu.